Many organizations struggle with documenting and putting into practice a content strategy. Most of the time, it just seems too vague and unclear, especially with regards of all the noise on the topic. Which is why I want to explore the idea of the minimum viable content strategy. 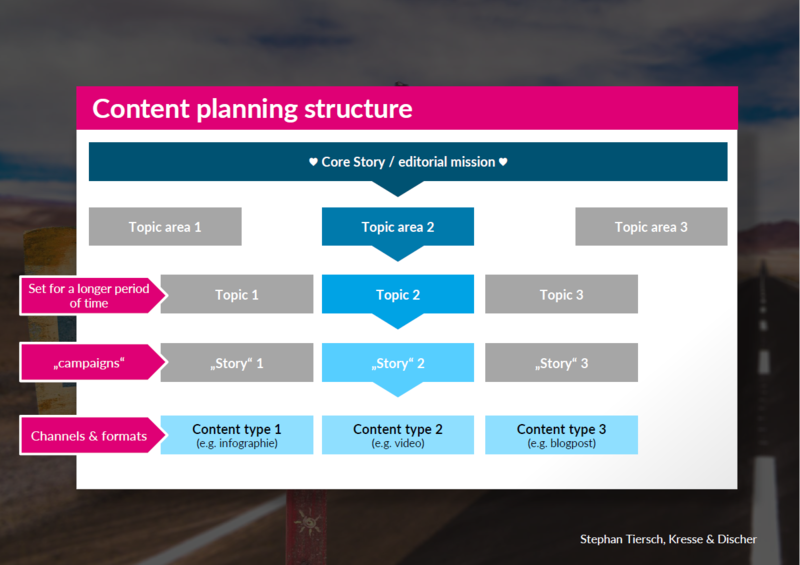 Over the past few years I have worked with a lot of different companies (B2B, B2C, different verticals…) on implementing and structuring content operations (mainly via the Scribblelive / Scompler platform). The common thread: most companies either don’t have a documented content strategy or, if they do, it’s more of a „dead document“ collecting dust on a server than a working document that impacts processes. Let me be clear: this is neither criticism nor is in any way due to people I’ve worked with being incompetent. Quite to the contrary. The people I“ve worked with are very smart and I feel honored to work with them on this fascinating challenge: translating strategy into operations. The problem of a content strategy often lies within the nature of strategy documents: they tend to be PDFs, Excel Sheets or Slides. In our daily work, before executing, we rarely go back to check on these strategic documents to make sure we’re on strategy. I know I never did in past projects, especially when I wasn’t involved in the conceptual part of it. In my experience, this is the case in a lot of organizations. If there is a strategy, it feels like it’s too detached from day-to-day work, it’s not relatable, it’s not part of the DNA even though „content“ very much is the „lifeblood of the organization“ (expression from the excellent book „Managing enterprise content“). As you’ve (probably) recognized, the „minimum viable content strategy“ is inspired from the agile approach of product development (MVP: minimum viable product, made popular by Eric Ries in The Lean Startup) and go to market approach for startups which have to be much more flexible and reactive („fail fast“). We should very much treat content just like a product, however accumulating assumptions to test quickly and discard or keep has to fit within a certain framework. 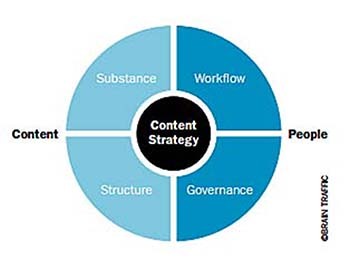 Content Strategy can provide that framework in order to be „strategically agile„. So the magic question is: what are the pillars of such a MVCS? Why and how it provides value to those who the content is for (we like to use the „content radar“ for this, see from slide 9). which approvals do you need before content is published? How do you secure quality? How can you optimize from ideation to analysis & insights? Who would be the pilot on board? Who sits in the cockpit? Who makes sure passangers are happy? How are decisions regarding change made and communicated internally? Which procedures apply in order to make sure your get from A to B? Now if you were to try to define all of these elements before even getting started, obviously you would spend months in front of spreadsheets creating documents and auditing content. So the question is: which ones of these elements should be part of the minimum viable content strategy? At the core sits the content „purpose„, what I / we call the content story. This content story should allow to take a step back and define what content should help the organization do, but it also makes it relevant and meaningful and useful for those the „story“ is intended for. I like to think of it as defining the „meaningful space of the content experience“. How will it help to achieve goals that have been set? How is it not just relevant but of value for different audiences that we want to address with our content? One example of a core story that I personally really like is Always‘ „Like a girl“ which is impactful (from an external perspective) or Ernst & Young’s „a better working world“. I absolutely love the potential of Canon’s „live for the story“, unfortunately it seems like they limit it to a campaign (so far). The core, the mission of the content strategy should be clear for external audiences (see examples above) but – I’d argue almost more importantly – even more so internally. and helps to reach business goals. Think about formulating a mission statement for internal use so that the purpose, the story is relevant and relatable. Is there a company mission statement, a company purpose? What does it mean for content? Can you and the team relate to it? Why (or why not)? If you had to put a tagline over everything you do, how would condense your reason why? 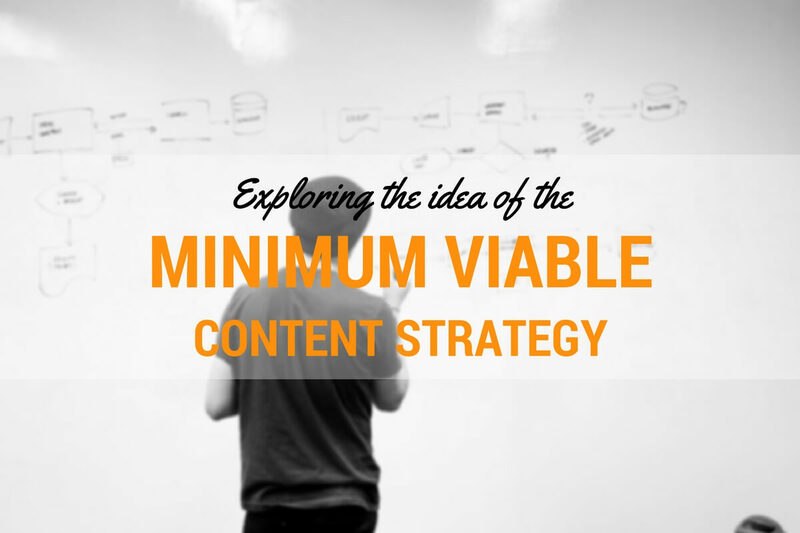 What should be included in the minimum viable content strategy? 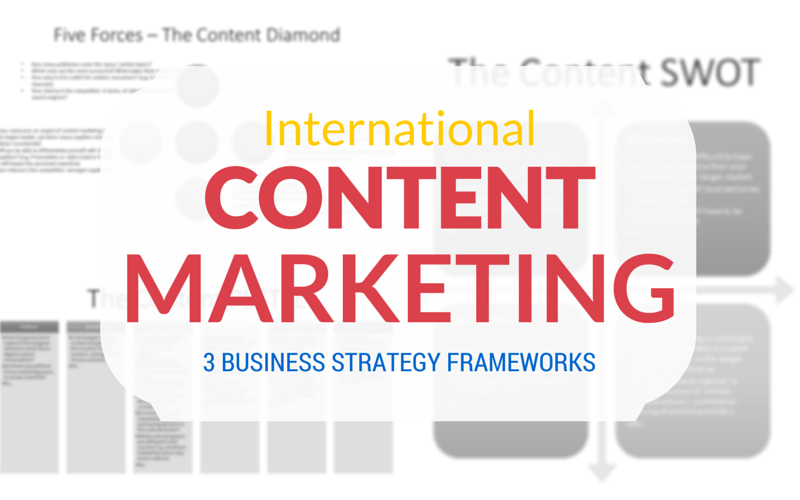 The idea I would like to explore here aims at setting up a framework that takes content seriously, i.e. makes it better (e.g. for both users and the organization and its goals), and manageable while taking into consideration that you want to able to react quickly. One the one hand, as mentioned before, most of the companies (I have worked with) don’t have the immediate resources to spend 6 months developing the perfect (is there such a thing?) content strategy and on the other hand because you want to be as agile as possible about it. So how do we define what makes sense? By defining what we want to achieve and convey with content. Start with strategic goals in mind and create a framework backwards by asking „what do we need to achieve to get there?“. You can derive operational goals from strategic ones more easily than figuring out how these KPIs you’ve been reading about in the latest „5 KPIs for your content marketing“ post relate to your organization… However, you might realize that you would need to redefine KPIs of functions and individuals. Don’t just yet, that’s going to be a bigger project for later. „Content teams“ around the world will now say: „sounds good but it lies within the nature of what we do to react to content demands from other departments!“. If you are kept from pushing the agenda on specific topics or topic areas because your team is mostly reacting, track the ratio between reactive and proactive work so that you have solid data when the time comes. 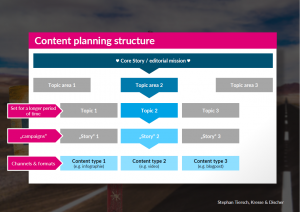 The storyline within scope of the content strategy project, as outlined in this post (I know it reads „content marketing“, but the structure remains the same ;-) ). Once you have clarity on topics that make up your storyline, prioritize and align with your goals that you’ve set out for your content. In my experience this clarity on topics can get a little tricky as many organizations know very well on a „campaign“ perspective, which content makes sense, but maybe less so when asked to create clusters of content and communication in general. Looking backwards you will recognize these clusters, but don’t forget that it’s not just an „audit“ exercise, it’s also a proactive approach to planning content for topics & stories. Which ones are a priority and which ones can be pushed back a littler? Are there milestones that you know of or events that you know will have an impact on the content team? A big part of what makes content manageable is using attributes to describe your content. Don’t be scared by the smart sounding word „taxonomy“, you can actually start with a very simple set of attributes that will help you break down content into sets of attributes that make it more clear, manageable an reusable. What defines our pieces of content as a unit, as a format, as a „container“? How much influence does the channel have on this? for example: would you describe a guest post as „guest post“, or is it actually an „article“ (that has been published on a specific channel), but it remains an article just like a piece that you’d put on your blog? 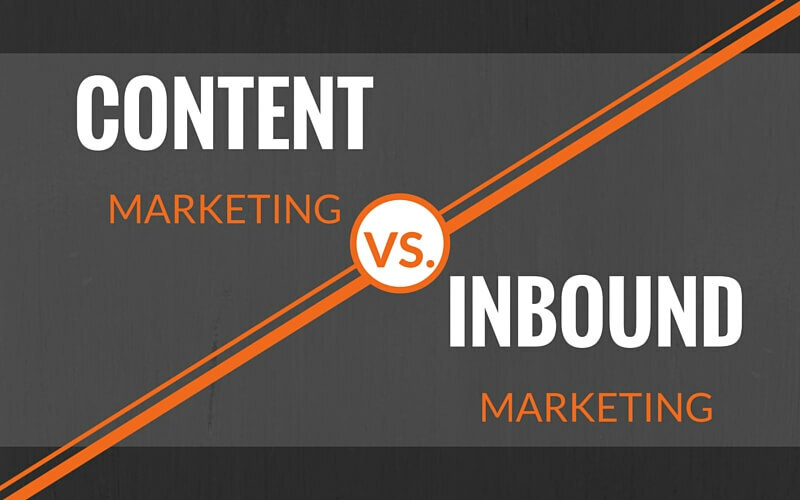 What attributes do you regularly need when looking for content? e.g. the audience it is intended for (persona or target audience)? The goal(s) attached to it? The format (e.g. listlce, Q & A etc.)? Once you’ve defined which ones you and your team regularly need, document those attributes you want to use to describe your content. That will actually help for briefings and clarity around content. Take a few minutes to set up a mindmap and take the time to figure out the main structural elements: what is an entity, what is just a description, an attribute of this entity? These are often overlooked but I believe these might just be one of the most important pillars of your MVCS, which aims at kicking off content strategy rather than making it a huge project. You probably already know what the workflow is like, but take the time to set up a quick flowchart to document it. A documented workflow establishes who has a say in which step (don’t skip important stakeholders!) and, almost most importantly, who hasn’t! In my experience a lot of initiatives take an unnecessary amount of time to see tthe light of day because someone has said something that everyone starts discussing. E.g. the company lawyer saying that he doesn’t like the layout and the color in a picture and suddenly everything comes to a stop. It really shouldn’t, because his job is not to comment on how it looks but to say if it is legally sound. When working on a workflow you’ll have to think about who does what, i.e. who plays which role in the process. Take it a step further and establish roles in relation to content instead of considering jobtitles (to take it a step further, let me recommend this post). If the head of marketing is the one writing certain texts, he / she is an „author“ or „editor“ who has to stick to the established workflow. 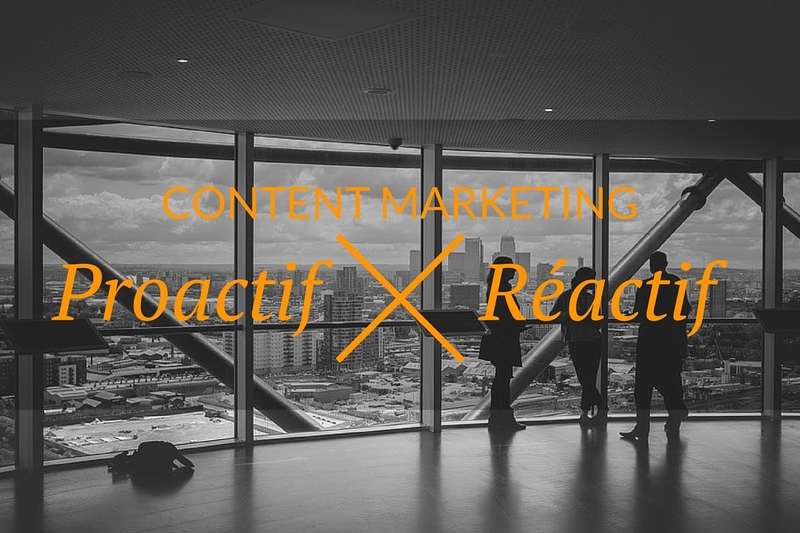 What are the tasks involved in the content process? Who will we leverage to produce and distribute content? Who will take care of analytics and, most importantly, insights for further prioritizing and planning? The aforementioned elements may sound like there’s a lot to do (does it? ), but don’t think of it as a to do list and to initiate death by documentation. Actually quite about quite the contrary. This idea is about having a process that gets everyone on track and providing key pillars to guide your actions. I think of the minimum content strategy as a process. What goals are being prioritized (for which audience)? How do we best work together on this in order to leverage everyone’s skills? Not that elements like tonalities, structure (metadata, taxonomies etc. ), documentation on formats and style guides are not important (quite to the contrary if you want to become more efficient at some point), but these can be worked on as you learn and adapt. The easiest way to master complexity (I have never seen a „simple“ content strategy project) is to start with the pillars (strategic & operational goals for defined audiences, focus topics, workflow and governance) and using this framework to dig deeper as you learn to go into more (usable!) detail over time.